Jan 04, 2016 Thank you for considering 50 Floor for your flooring project. We sincerely apologize for the misunderstanding regarding your phone number. If you should reconsider using 50 Floor, please give me a call directly to schedule your appointment with a sales representative. They scheduled an in-house visit to discuss flooring with me and my wife. They apparently 'overbooked' themselves that day. The issue was that one of them got the phone number wrong so they couldn't contact me to reschedule, so much to my surprise after waiting two-and-a-half hours, they weren't coming! All I got as compensation was a measly 100 off if I go with them. Way to go, 50 Floor! Customer No Service. 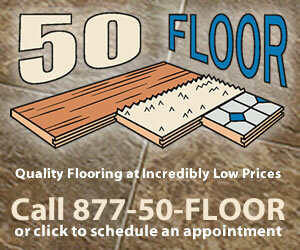 Product or Service Mentioned: Fifty Floor Installation. Review #595154 is a subjective opinion of User595154. What other compensation would you expect? I had business done with 50floor and they did a good job. I don't understand how you expect compensation for time? That's ludicrous. This was posted by a former Salesman that stole from the company.